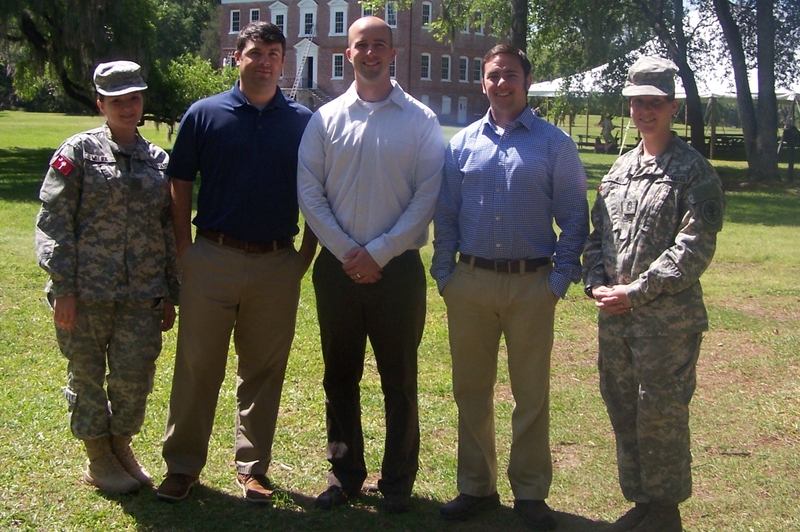 This spring marked the third year that I have worked with students in The Citadel’s Teacher Education Program. 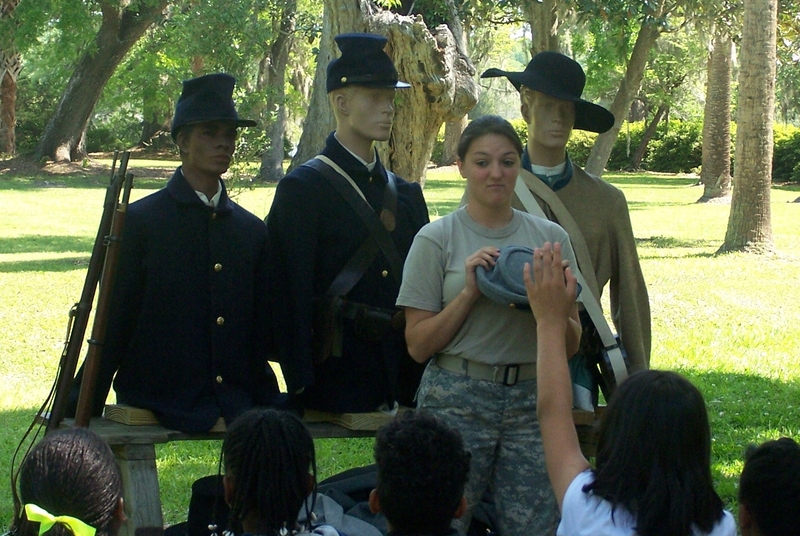 Cadets and veterans trained with Drayton Hall educators and took part in presenting two of our programs, A Day in the Life of a Plantation and The Civil War, Soldiers and Civilians to our visiting student groups. Our partnership with The Citadel gives the student teachers an opportunity to have a teaching experience that is outside of the usual classroom setting and to learn ways to integrate historic sites into their own curriculum. 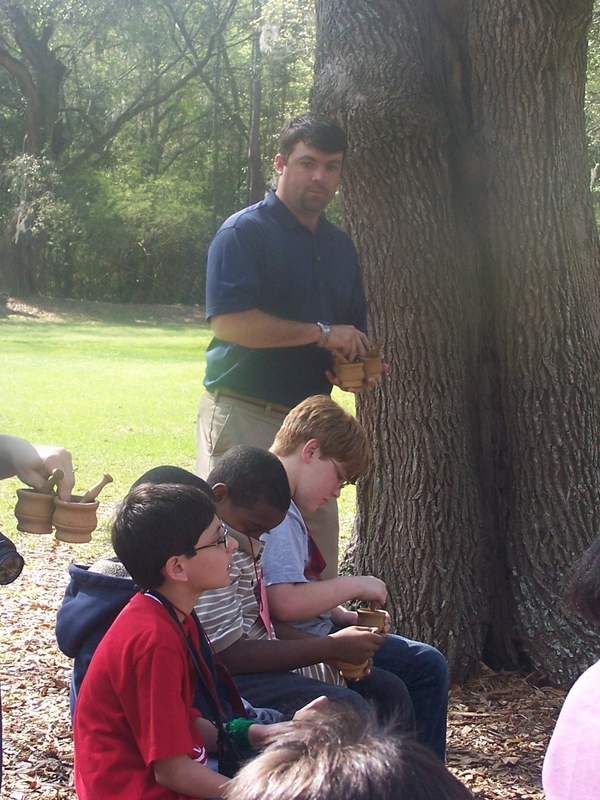 Veteran Wes Mitchell grinds herbs while teaching students about colonial cooking. Cadet Deb Miera explains the different types of Civil War uniforms for soldiers. Rikki Davenport is the Curator of Education at Drayton Hall. Reach her at rikki_davenport@draytonhall.org.